I guess when you're one of the two parties embroiled in the biggest pop culture feud of the decade, it's tough to scrounge up some positive words for the person you're battling with. Such is the case of Kanye West and Kim Kardashian vs. Taylor Swift, since the couple just threw even more shade at T. Swift by not being able to pick a favorite song from her catalog in a new interview with Harper's Bazaar. While the article doesn't state when exactly the interview was conducted, I can only assume it was at some point between Swift's reps denying that she ever approved Yeezy's "Famous" lyrics back in February and Kardashian providing the receipts in July of that "Famous" phone call with Swift. When asked to pick a favorite song of Swift's, West was pretty straight-forward in his response: "For me?" he asked. "I don't have one." Kardashian was a little more passive-aggressive, stating, "I was such a fan of hers," but not elaborating further. Of course, it's no surprise that the pair chose not to name a T. Swift song they like, even if there actually are any. Right now, they're solely focused on her public takedown — and that includes shading her music, as well. Still: For a wordsmith like West, someone who loves creating lyrics and at one point in his life was actually talking about working with Swift, it's petty — again, understandable, but petty — that neither he nor Kardashian chose to name a song of Swift's that they enjoyed. If Taylor Swift is nothing else, she is a masterful, talented songwriter — and from one songwriter to another, Yeezy could at least respect that enough by name-dropping one track. Of course, perhaps the shadiest answer of all would've been if they picked "Innocent," Swift's Speak Now response to West's infamous "Imma let you finish" mic grab at the 2009 MTV VMAs. So on a scale of "Innocent" to "All Too Well" (arguably the best song Swift has ever written), Kimye's response of, well, nothing was not the most petty they could've gone — but still definitely shady. 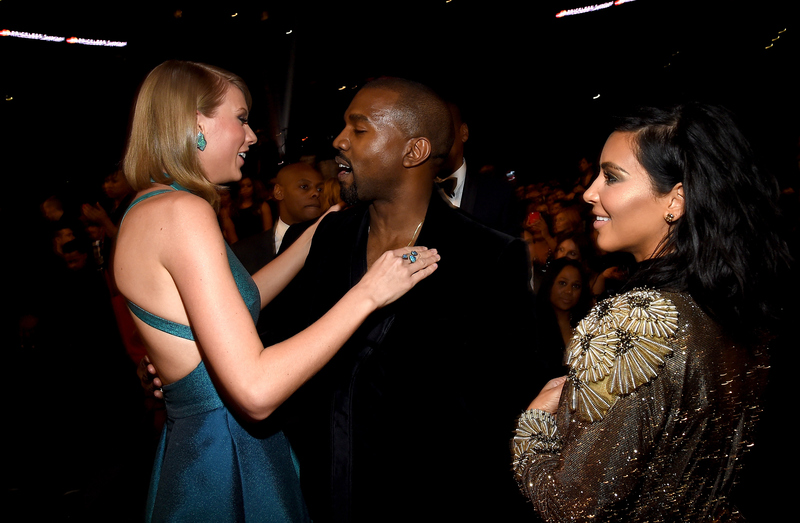 In the war of Kimye vs. T. Swift, West and Kardashian are clearly not letting up any time soon.